Durga Puja is is the only time of the year when around 2000 Bengalis of Bhubaneswar come together for community bonding. The Kalibari Durga Puja Samiti, on its part, takes care to offer them a taste of authentic Bengali tradition. Durga Puja is is the only time of the year when around 2000 Bengalis of Bhubaneswar come together for community bonding. The Kalibari Durga Puja Samiti, on its part, takes care to offer them a taste of authentic Bengali tradition. For the Kalibari Samiti in Bhubaneswar, this is the 52nd year of Durga Puja celebration. While for the Telugus and Gujaratis in the city, puja celebrations begin with ‘Navaratri’, it is post ‘Panchami’ that the festivity starts for Bengalis. – S Marik, Secretary of the Kalibari Durga Puja Samiti. 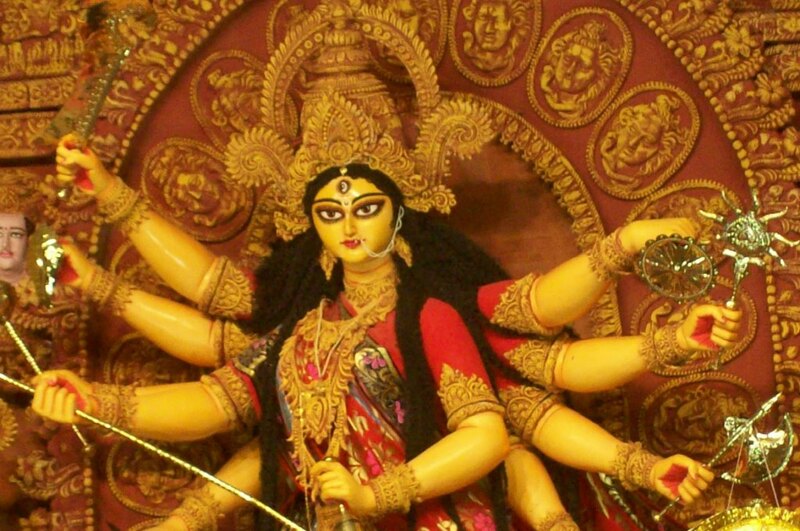 There are around 500 Bengali families in the Capital City who participate in the week-long Durga Puja celebration, which begins with ‘Sasthi Puja’ on October 19. Unlike other parts of the city where Durga Puja is more about massive pandals, light decorations, ‘Ravana Podi’ and firecrackers, the focus here is just on the rituals and community get-together. Although the samiti members never erect an expensive pandal to welcome devotees, the ‘Ekchala’ idol of the deity is crafted by Bengali sculptors who are roped in from West Bengal. “The money that is earned through sale of ‘bhog’ during the puja goes into socially-relevant purposes,” says Marik. This year, a host of cultural activities will also be a part of the festivity. There will be a dance drama ‘Mahisasura Mardini’ on ‘Ashtami’ followed a competition on blowing conches and Dhunuchi Naach (traditional Durga Puja dance) in the evening. Interestingly, both the ‘Navami’, ‘Dashami’ rituals, ‘Sindoor Khela’ will be observed on October 22 and the idol will be immersed in the evening. Marik says Sandhi Puja on ‘Ashtami’ is the most important ritual of Durga Puja for the community. “During the Sandhi Puja that marks the transition from Ashtami to Navami, usually a period of 45 to 50 minutes, the Goddess is believed to take the form of Chamunda to kill Mahisasura. Intense prayers are done during this period and the Mother Goddess is offered 108 Lotus flowers and as many ghee lamps are lit,” he says, adding that the samiti has never deviated from this tradition so far. Yet another attraction of the Kalibari Samiti during the puja is the ‘Khicidi Bhog’ that is offered to the Goddess and relished by devotees after ‘Ashtami’ Puja. The puja samiti often ropes in cooks from Kolkata to prepare the ‘Khichidi’, while the other dishes in the fare like ‘Luchi’, ‘Dal’, Chutney’ and ‘Payas’ are prepared by Odia cooks from Bhubaneswar. Apparently, apart from Bhubaneswar, Odisha has Kalibari Samiti only in Sambalpur besides, a Durgabari in Puri that celebrate the biggest festival of the Bengali community. Liked That Article? You will Like These Too! Capital I – Controversy or Pride of Odisha? A copy-editor by profession, Odisha-based Diana Sahu is also a curious traveler, blogger and a photographer. Passionate about de-mystifying the world of travel in India, her interest areas are monumental heritage and eco-tourism. Fascinated by various cultures, cuisines and traditions, she wants to explore off-beat destinations across the country and their splendor. If any body can give me the phone numbers of Bengali associations in Bhubaneswar.